The 2013 CHCCS/SCDHM Achievement Award of the Canadian Human Computer Communications Society is presented to Sheelagh Carpendale of the University of Calgary. Sheelagh Carpendale is a Professor in the Department of Computer Science at the University of Calgary. She has a background in both the arts and the sciences. Graduating from high school with science scholarships, she instead initially opted to pursue her interests in fine arts through studies in sculpture at the Emily Carr College of Art in Vancouver, British Columbia, and design studies in glass at the Sheridan College School of Design in Oakville, Ontario. During these years she worked professionally in the arts, holding various artist-in-residence positions and teaching at Humber College and other institutions, and was involved in establishing the Harbourfront Arts Centre at York Quay, in Toronto. She subsequently reconnected with her interests in math and science and earned both her B.Sc. and Ph.D. degrees in Computing Science in 1992 and 1999, respectively, from Simon Fraser University. Dr. Carpendale directs InnoVis, the Innovations in Visualization Laboratory at the University of Calgary. She holds an industrial research chair in interactive technologies co-funded by the Natural Sciences and Engineering Research Council, the provincial Alberta Innovates Technology Futures program, and SMART Technologies, and also a Canada Research Chair in information visualization. Her work is highly interdisciplinary and is enabled by her training and experience in computer science and visual arts. Her artistic accomplishments have been recognised by a position as Senior Artist at the Banff New Media Institute. She has received numerous awards including both graduate supervision and research excellence awards at the University of Calgary, a service award from the Association for Computing Machinery, equipment grants from the Canada Foundation for Innovation, a University Faculty Award from the Natural Sciences and Engineering Research Council, an award from the British Academy of Film and Television Arts for an interactive learning project about Antarctic waves, and most recently a prestigious E.W.R. Steacie Memorial Fellowship from the Natural Sciences and Engineering Research Council of Canada. Her research focuses on the visualization, exploration and manipulation of information through human-computer interaction with emphasis on large-surface, touch-sensitive displays. She builds on her broad interdisciplinary research expertise — including fine arts, psychology, ethnography, information visualization, and human computer interaction — to design innovative, people-centred information technologies. Her bibliography contains more than 120 refereed journal and conference articles and over a dozen artistic exhibits and installations, in addition to numerous other contributions including Sketching User Experiences: The Workbook (2012) that she co-authored with Greenberg, Marquartdt, and Buxton. Dr. Carpendale’s interdisciplinary research approach, drawing from fine arts, design, and computer science, is used to investigate the visualization of information and to design modes of human computer interaction. This has resulted in the design of innovative information technologies that are made more accessible to their users by observing how people interact with information displays, with interface components, and with other participants and using those observations to develop more controllable, approachable and comprehensible visual representations of data. A dominant theme throughout her work has been the cooperative and collaborative use of large displays at which several people can collectively engage in navigation, exploration, and manipulation of information spaces. 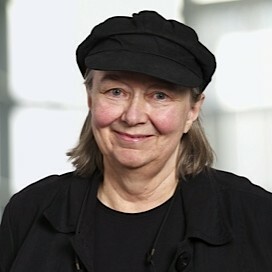 She has pioneered the use of touch-sensitive tables in this field through a variety projects that explore the thematic areas of visualization, display, design, rendering, evaluation of modes of interaction and presentation, and computer-assisted collaboration in which she has supervised or co-supervised over thirty graduate student dissertations, theses, and diplomas. She is currently investigating a number of issues related to personal visual analytics with applications to financial management, health care, sustainability, and other areas of everyday life with the goal of producing interactive visualizations of digital data in a manner that enhances people’s cognitive abilities to deal with their own information. Her research has already been realized in patents and products and many of her students have held industrial research internships with Canadian and international companies. Most notably, her work in developing touch-sensitive tabletop display applications has led to a partnership with Calgary-based SMART Technologies, where her research group has influenced the development of SMART’s interactive whiteboards and influenced SMART Technologies to now include interactive tabletops as part of their line of multi-touch displays for classrooms and offices. A recent patent application for three-dimensional, tabletop interaction techniques invented by Dr. Carpendale and her research group continues this partnership with SMART.